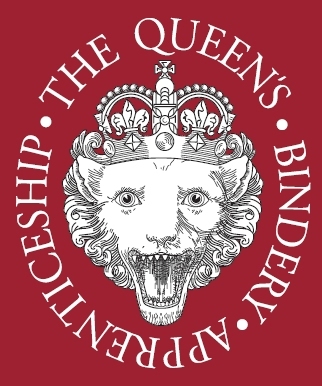 "The Queen's Bindery Apprenticeship has been a varied and expansive introduction to bookbinding. A year into the scheme and we have not only begun learning the basics of bookbinding but have also been involved in workshops and taken advantage of expert visiting tutors. The scheme has enabled us to follow the City & Guilds curriculum and also engaged us in real work from other departments of the Royal Household which has meant getting practical experience on an almost daily basis." Matt & Ellie have covered themselves with glory: they have both achieved merit for City & Guilds Level 1 and distinction for City & Guilds Level 2 in bookbinding. The full 24-page report of the first year the scheme, may be veiwed and downloaded here.